MADRID/MILAN (March 7): Spain's Santander and Italy's Intesa Sanpaolo said on Tuesday that they had agreed to sell a joint 75% stake in mutual fund platform Allfunds Bank for around 1.37 billion euros (US$1.45 billion) to funds GIC and Hellman & Friedman. The remaining 25% will be sold by Warburg Pincus and General Atlantic, as part of an agreement reached with Santander in November. The two U.S. funds did not immediately give financial details of their side of the sale. The deal values Allfunds at 1.8 billion euros and is subject to the customary closing conditions, private equity fund Hellman & Friedman and Singapore sovereign wealth fund GIC said in a joint statement on Tuesday. Allfunds is a business-to-business operation which provides services supporting the mutual fund distribution activities of over 530 clients and has offices in Europe, Asia and Latin America, the funds said. "Our role as an investor, together with our partner GIC, will be to support the (Allfunds) team in accelerating growth, both organically and through select M&A," said Zita Saurel, managing director at Hellman & Friedman. Santander said it would sell its 25% stake in Allfunds for around 470 million euros, while Intesa SanPaolo said it would get around 900 million euros in cash for its 50% share. The sale would earn Spain's largest bank net capital gains of around 300 million euros, Santander said, while Italy's biggest retail bank said it would book a net capital gain from the sale of some 800 million euros. 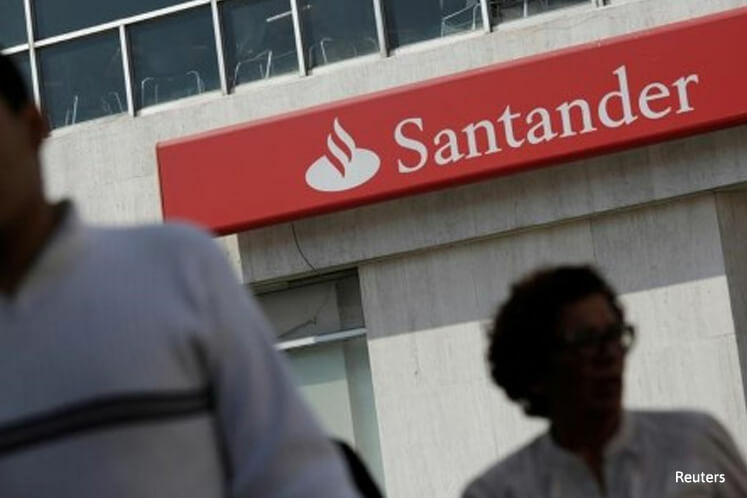 Together with Santander's acquisition of half of its asset management business from Warburg Pincus and General Atlantic announced in November, the sale would have a return on invested capital of over 20% in 2018 and over 25% in 2019, Santander said. The asset management business, based on stable returns and higher fees than its core banking activity, offers brighter prospects for Santander which, like other banks in the euro zone, is struggling to boost earnings in an era of ultra-low interest rates. By the end of 2017, both operations would hit Santander's core equity tier 1 by around 11 basis points, the bank said.